The Mixed Martial Arts world is filled with competitors who like Al Iaquinta are hard working and humble. Fighters who do their talking once they step in the octagon. Who walk into a place and want to fly under the radar, go about their business, and aren’t looking for attention. Then there’s Jorge Masvidal. A fighter who has shown over the past few weeks that he likes to talk, and not very intelligently. 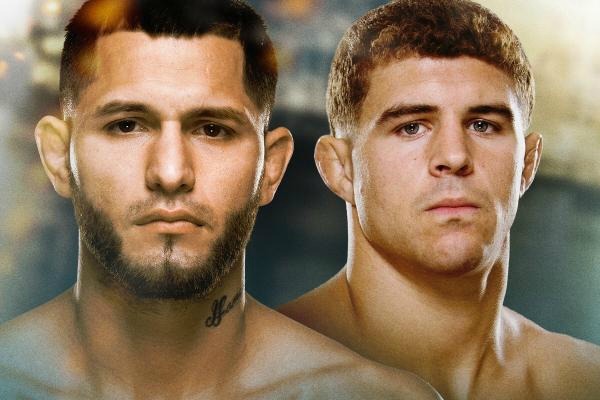 This Saturday Iaquinta(11-3-1) will take on Masvidal(28-8) in the Co Main event at UFC Fight Night 63 in a rare Saturday day event. The fight which is headlined by Chad Mendes and Ricardo Lamas will take place in Fairfax Virginia at The Patriot Center. Iaquinta fills in for former lightweight champion Benson Henderson who recently bumped up to welterweight. Instead of breaking down a great match up between two fighters working their way up the light weight ranks, reporters have been caught up with the comments of Masvidal over the past few weeks. Masvidal feels he deserves a “bigger” named opponent. He’s expressed that he hasn’t been overly impressed with Iaquinta’s win streak(winning six of his last seven), and that he deserves an opponent in the top five of the division. Masvidal can think that all he wants but the fights speak for themselves. Where Iaquinta has respectfully won his past three fights by knockout, Masvidal has done the same winning his last three by decision. These are two fighters ranked right next to each other who should be fighting one another to put some separation in the division. Iaquinta was not fazed or amused. “People have told me he doesn’t sound too intelligent so I’m not taking what he says too seriously. We’re ranked 14 and 15. Doesn’t get much closer than that” Iaquinta commented. Raging Al generally does his talking inside the cage. Expect him to do just that come Saturday. Once all the nonsense is tossed aside the match up is an intriguing one. Two tough fighters who have shown they like to get into a stand up war. Despite an impressive record Masvidal has recorded some key victories, just not in the impressive fashion that Iaquinta has as of late. Masvidal has shown he can get in there with some of the best recording victories over Yves Edwards, Joe Lauzon, Ryan Healy, and most recently a unanimous decision win over James Krause. 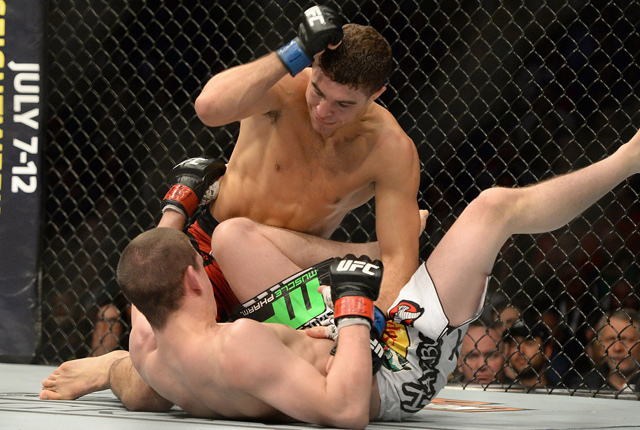 Iaquinta has shown his continued improvement every time he enters the octagon. Raging Al continues to be tested, and in turn continues to dominate. Expect to see two hungry fighters looking to make a statement this weekend. Get excited Iaquinta Nation, fight night is right around the corner. Very helpful information particularly the closing part 🙂 I deal with such info much.